Survivor of the Green Monsters is on the Windows 8 Store! Link here and on this blog’s game page as well! I’ve also got new pages for Anarchy Ambulance and one of my most recent assignment projects, Deep Sea Adventure! First Windows 8 game! Survivor of the Green Monsters! Hello everyone! I thought I’d like to share you a quick new game I’ve made. 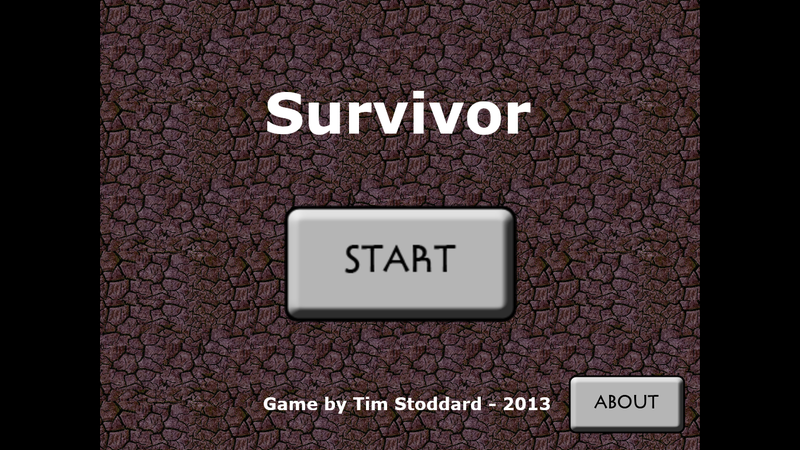 The game is called Survivor of the Green Monsters, a mini-arcade shooter for the Windows 8 platform made in the Construct2. 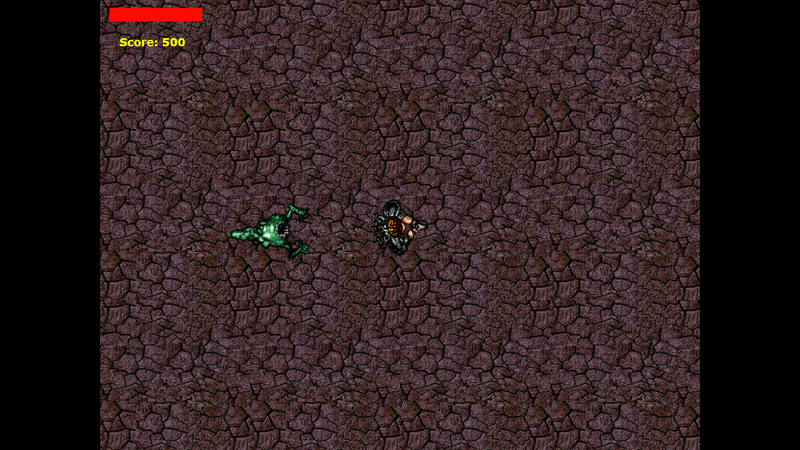 In the game, you are a lone soldier on a desolate planet, you are trapped in one position with only the ability to turn and shoot at enemies with infinite ammunition. Green Monsters crawl towards you in all direction, starting off one-by-0ne before slowly increasing in rate. The aim is to shoot down as many green monsters before you lose all your health. Luckily, random power ups spawn, a health pack and a fire pack. Both can assist you in lasting longer and shooting enemies quicker. The main idea around this very simple game idea was that shooters commonly require you to move around, but what about a game where you cannot move at all. 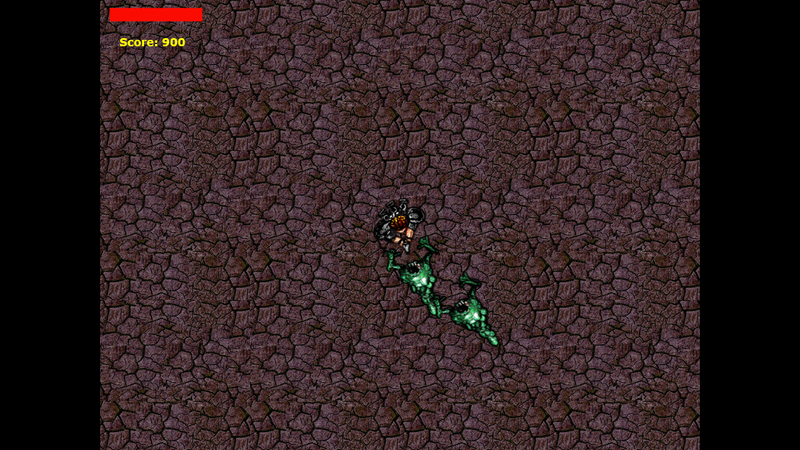 By restricting the player’s ability to move, it relies on the importance of shooting all enemies, as well as the need to survive as long as possible. One of the main reasons was to try new developing tools. After being so use to Visual Studio and programming most of my games (I haven’t used a proper game development engine since Game Maker 8 over three years ago). I also like to try new ideas for games instead of what my mind normally focuses on, (one of the reasons I took part in this year’s GameJam). At the moment, the game is going through the review process to be on the Window’s Store. It’ll be for free, since the artwork is from the tutorial work on the Construct2 website, so fingers crossed to see if it goes online. I’ll see if there is a way non-Windows 8 users can use it in the meantime.